The ULTIMATE Gap Year in New Zealand! Ultimate New Zealand: The ULTIMATE Gap Year in NZ! Our Ultimate NZ working holiday package will blow your mind! Experience a week of fun with people from all over the world & get set up for your adventure – all fully-guided by an Ultimate NZ tour leader. 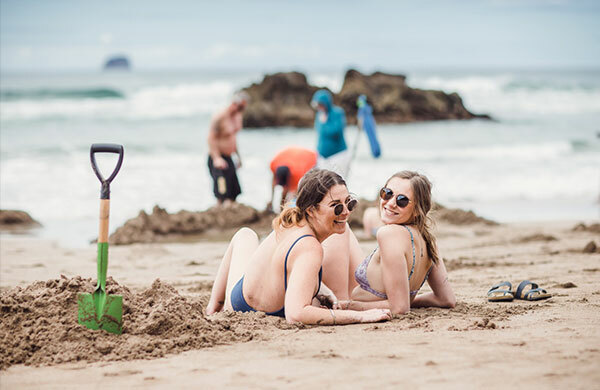 We’ll show you the best of northern New Zealand off the beaten track, help you plan the trip of a lifetime around the country and fix you up with job opportunities after your first week. 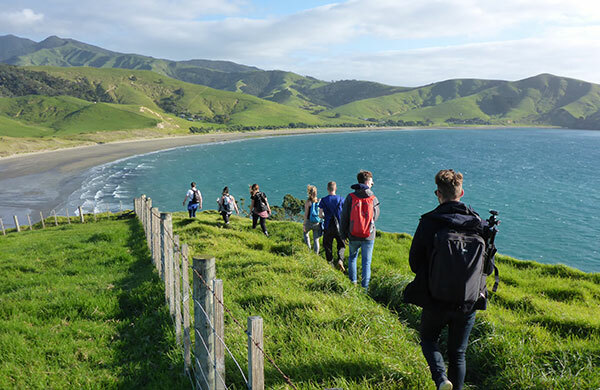 This trip is the ULTIMATE way to start your gap year in New Zealand! Whether you’re planning a working holiday or just a visit – this is the perfect way to kick off your New Zealand adventure! To be able to work you need to be aged between 18 – 30 and be eligible for a New Zealand working holiday visa. Most groups even celebrate reunions years after their trip! 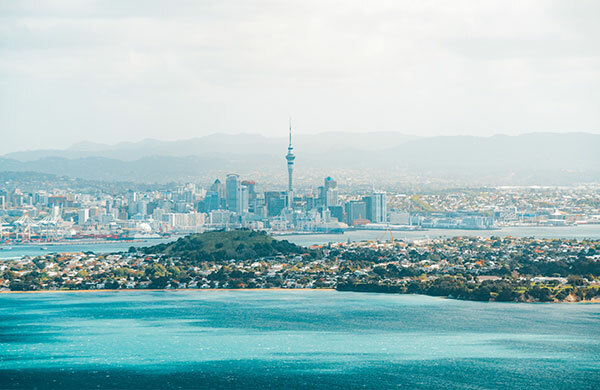 Get started in Auckland, the gateway to New Zealand. 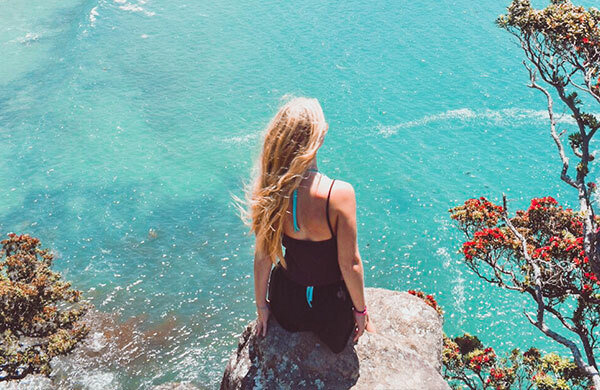 Explore what this amazing city has to offer before escaping the hustle and bustle in The Coromandel Peninsula – it’ll take your breath away! After an awesome week full of adventures, we’ll help you organise anything else you’d like to do. During your first week in NZ all your accommodation, transport, activities are covered, as well as some meals. 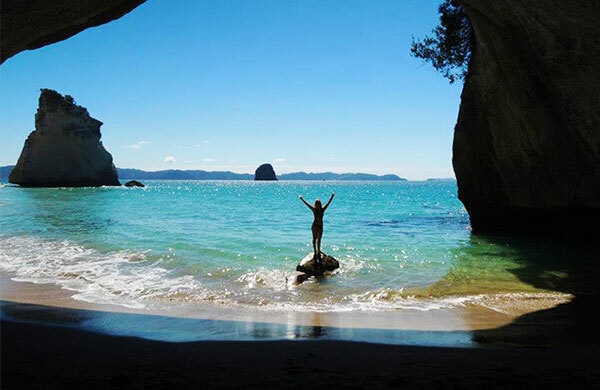 Airport pick up, city tour, info session, Northern Coromandel sunset tour, Hot Water Beach, Cathedral Cove, Mt. Rangitoto, and all the essentials needed for your Gap Year are included. Everything will be pre-arranged, so you can relax & let our ULTIMATE tour leaders take you on the trip of a lifetime! Our guides will be with you throughout your week in New Zealand, always on hand to help if you have a question or just fancy a beer and a chat! Planning to work? No worries! We’ll arrange your bank account, tax number & help you find the perfect job in New Zealand! Ultimate NZ starts on selected Mondays throughout the year. All departures are guaranteed! Check out the booking form to view all available start dates. For most people New Zealand couldn’t be any further from home which can be a pretty scary thought, right? No worries! We’ll take the stress out of your trip, answer any questions you might have and help you plan your travels to New Zealand. Everything is easier when you know people! Meet your group and chat to other travellers arriving at the same time before your adventure begins. We’ll make you feel at home, away from home. When you arrive in Auckland you’ll be driven directly to your hostel right in the center of the city. Everything is pre-arranged so your check-in will be quick & easy. Once you have settled in, you can head down to the hostel bar for a welcome dinner and drink. This morning, meet your group in an info session where our partners will explain everything you need to know about New Zealand. If you’re here on a working holiday visa, we’ll talk to you about finding work, getting your tax number set up and other important bits. We’ll also walk you through setting up your bank account if required. This afternoon, it’s time to explore Auckland on our city tour! You’ll see the main hot spots, get the inside scoop on where to find the best coffee and food, where to go out & much more. 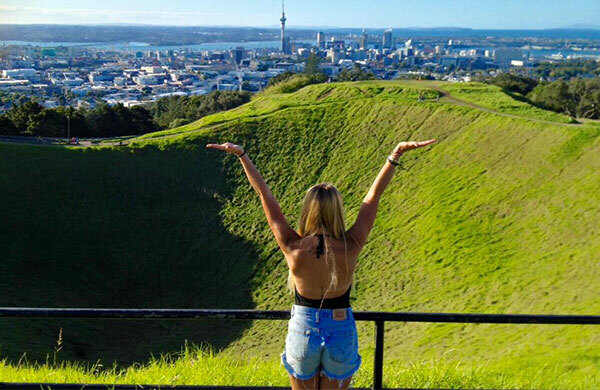 There is so much to Auckland, you will love it! Today we begin our North Island Adventure as we head out of the City of Sails towards the Coromandel Peninsula and spend the afternoon at Cathedral Cove. This iconic coast is great for swimming, kayaking and exploring. Later this afternoon we carry on to Hot Water Beach. This spot is great to visit at low tide so that you can dig your own hot pool in the sand. We start the day with a walk through the Ruakuri Reserve before heading to Rotorua, the Maori culture capital of New Zealand. 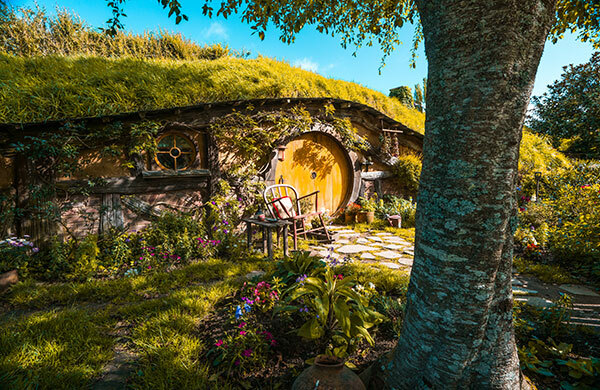 Along the way we will stop at The Shires Rest where we go on an adventure through the enchanting Hobbiton Movie Set! Tonight we partake in a traditional Maori Hangi and evening cultural experience. For those up for the challenge, get up early and hike one of New Zealand’s great walks – The Tongariro Crossing! Home to Mt Doom in Tolkien’s world, the scenery is sure to blow you away on this 8 hour hike. Alternatively, enjoy a sleep-in and experience one of the many activities on offer. Take a walk down to Spa Park to relax in the natural hot springs by the river or if you’re an adrenaline seeker, sign up to skydiving, bungy jumping, sailing or jet boating! Today we make our return journey to Auckland and our home base. You will spend your final night on tour enjoying the company of your new friends! It’s time to say goodbye to your group and plan the next part of your adventure, whether you’re travelling on or staying in Auckland a while longer, your guide will be available to help you plan! Planning to work in NZ? We’ve got you covered! √ Find work easily: You’ll receive a 12-months membership to our partner recruitment agency and online jobs board. Our partner connects employers and job seekers making sure every job posted is a genuine position suitable for working holiday makers. √ Apply for jobs even on your phone: Get started before you arrive: write your CV, browse jobs online from anywhere and easily apply even on your phone or tablet. Set up your profile and be found by employers on short notice. √ Personal recruitment specialists: Talk to a recruitment expert to receive help with writing your CV, advice on seasonal work across the country, whether any certificates are necessary for your job and any other questions you may have. √ NZ Bank Account & Tax Number: We’ll help you open your bank account and set up your tax number during your first week so that it’s hassle free! √ 12-months Mail Service: We’ll provide you with a fixed address for the entire duration of your gap year as well as up to 3-months mail holding and free mail forwarding within New Zealand. √ NZ SIM card: We’ll organise your New Zealand mobile SIM (any size), with a range of cheap prepaid plans available. √ Tax Refunds: At the end of your time in New Zealand we’ll help you claim your tax refund, which could be worth thousands! √ All certificates covered: Depending on the type of work you are looking for you might need to get a license. Chat to our crew to check what exactly you might need and we’ll help you arrange it. 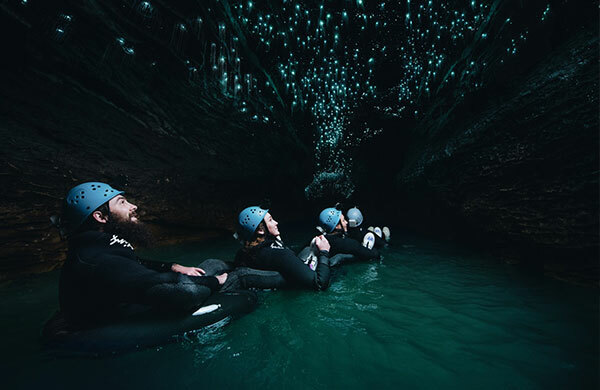 https://www.ultimate.travel/wp-content/uploads/2016/09/Evi-NZ-3.png 315 851 Holly Walker https://www.ultimate.travel/wp-content/uploads/2015/01/logo-300x94.png Holly Walker2016-09-22 12:59:122018-05-01 18:25:06My New Zealand Road Trip! Download the brochure, so you can read all it about it offline. Questions about Visa, Travel Planning, Start Dates, Money Transfer etc? Find answers here. You plan a trip across the whole country? No worries! Get in touch and we will help you plan your very own adventure!